Olmsted Manor Retreat Center on 17 East Main Street in Ludlow, Pennsylvania, has been a space set aside for Christian retreat, fellowship, and rejuvenation since 1969. Nestled in the woods of the Allegheny National Forest, Olmsted is a place to come away and seek spiritual renewal. Their facilities include an original 1917 Tudor mansion with accommodations for 12 overnight guests, nestled in the forest of the Allegheny National Forest on over 30 acres of beautifully maintained grounds. Both the mansion and the grounds are open year-round for touring. Reservations can be made for the historic manor rooms. 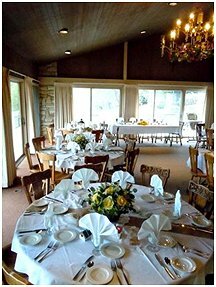 Additional amenities include Groves Lodge with lodging for up to 42 guests, with central dining for 50; Hickman Hall, a spacious fully equipped meeting facility, and the Carriage House, a separate apartment-style accommodation located above the former Olmsted carriage garage. At Olmsted, your group will enjoy the private location, the friendly faces of staff, and their flexibility in hosting groups. Their staff will work with you to help design the best possible retreat for your group’s specific purpose and needs, working within your timeframe and budget. Previous groups hosted at Olmsted include: photography workshops, history buffs, mission teams, quilting and craft groups, bible studies, and families.